There is nothing we love more than dinner that doesn't get a lot of dishes dirty! Cooking is fun. Cleaning is not. Agree? 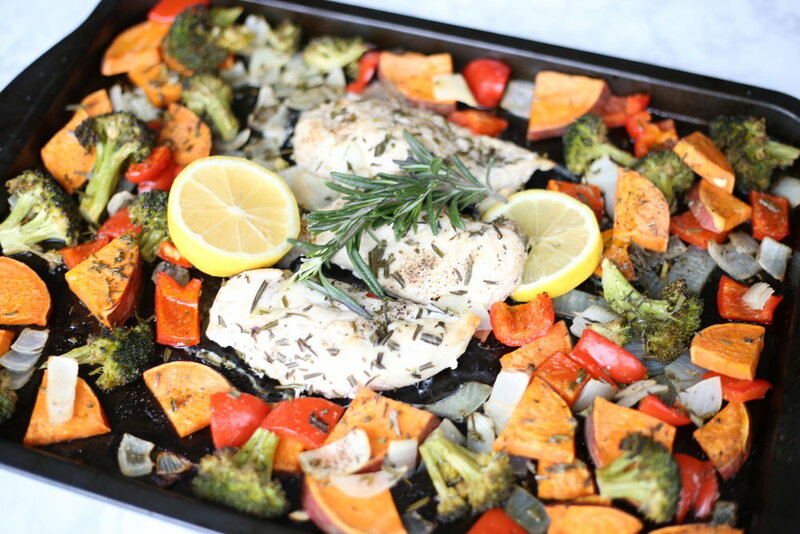 Place chicken and veggies in a large roasting dish or sheet pan in the upper 1/3 of the oven. Add olive oil, salt, pepper, rosemary and lemon. Mix well. Bake for 25 minutes or until the veggies are charred and chicken is cooked.